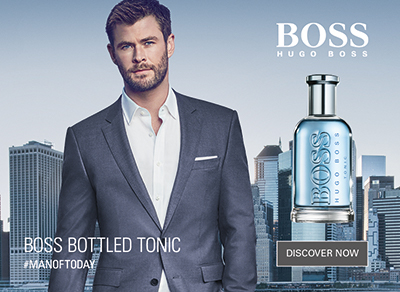 The HUGO BOSS BOSS Bottled Tonic is an ode to contemporary masculinity with its rejuvenating scent that provides an instant pick-me-up for the senses. A modern take on oriental freshness, just like the BOSS man, the BOSS Bottled Tonic scent represents focus, sophistication and masculinity. Inviting both you and your senses to experience a moment of invigorating stimulation, BOSS Bottled Tonic is a refreshing tribute to the free-spirited man of today.